The goals of the fellowship expedition program is to allow wilderness medicine fellows to plan an expedition to remote area with supervision from the fellowship director both in planning the expedition and on site. This is a capstone experience for the fellowship program. Planning of an expedition require travel and lodging arrangement. Research must be conducted to determine common injuries and illness at the location of travel and with the demographics of the group going. The fellows must assess medical resources at the location and assemble both personal and group medical kit reccomendation. The fellow must research evacuation and rescue options for the area. The fellow must reaserch proper pre-travel planning including immunizations required from the CDC. The fellow should prepare a trip briefing to include all the above information for participants. 1. The fellow will learn to assess expedition locations for endemic disease and medical resources. 2. The fellow will assess medical resources and rescue options. 3. The fellow will explore personal and group medical kit creation. closest inhabited neighbour is Pitcairn Island, 2,075 km (1,289 mi) to the west, with fewer than 100 inhabitants. 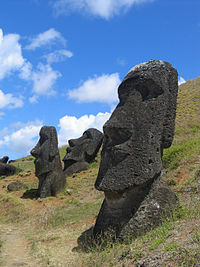 Easter Island's latitude is similar to that of Caldera, Chile, and it lies 3,510 km (2,180 mi) west of continental Chile at its nearest point (between Lota and Lebu in the Biobío Region). Isla Salas y Gómez, 415 km (258 mi) to the east, is closer but is uninhabited. It is the antipode of Jaisalmer (India). kilometres (63.2 sq mi), and a maximum altitude of 507 meters (1,663 ft). There are three Rano (freshwater crater lakes), at Rano Kau, Rano Raraku and Rano Aroi, near the summit of Terevaka, but no permanent streams or rivers.